A. What Information Does Maiden Gaming Collect? We typically collect personal information that you provide to us on a voluntary basis, and you may visit areas on the Site without choosing to do so. However, in order to use certain parts of the Site and/or log-on to play the Game, you will be required to create an account by providing us your email address and selecting a unique username and password (an “Account”). For age verification purposes, we also ask for your birthday during the Account creation process. In the course of maintaining your Account, you might also be asked to participate in online surveys about the Game, or in other Game-related promotional contests, participation in which is entirely voluntary. You might also desire to contact our customer support team via the “Support” tab found on the Site. In participating in such promotional activities or in contacting customer support, you might be requested to provide additional information beyond your email address, including your name, full address and phone number. In operating the Site or otherwise offering the Game, we might also request other information from you, including hardware specs, software performance metrics, game experience, refer-a-friend, and other demographic information that might be associated with your personal information, such as your gender, hobbies, occupation, platform preferences, and other game ownership information. Please note that in utilizing certain areas of the Site (e.g. purchasing merchandise) or the Game (e.g. purchasing items), you will be requested to provide additional information in order to complete a purchase, such as your name, full address, phone number, internet protocol address (for fraud tracking purposes) and credit card information or other payment information depending on payment method selected. In most instances, information provided for payment purposes will also be shared with a third party payment provider, depending on the payment method used. Please see Section IV below regarding how third parties working on behalf of Maiden Gaming use your personal information. In the event that you choose to create an Account and play the Game, we also collect certain information regarding your in-Game performance and/or interactions with other users (e.g., wins / losses, recent immortals played, average number of kills / deaths etc.). These statistics are associated with your in-Game Guardian name and are publicly accessible by members of the Maiden Gaming community. In addition, we may share your in-Game statistics with third parties in accordance with the terms and conditions set forth in this Policy. To be clear, no personal information about you, such as your email address, username, IP address, or other sensitive information, will be shared as a part of this process. If you choose to use our referral service to refer a friend to our Site, we will ask you for your friend’s name and email address. We will automatically send your friend a one-time email inviting him or her to visit the Site. Maiden Gaming stores this information for the sole purpose of sending this one-time email and tracking the success of our referral program. You or your friend may contact us to request that we remove this information from our database. B. What Additional Information Do We Collect? (1) AUTOMATIC COLLECTION. Our servers automatically recognize visitors’ domain names and internet protocol (IP) addresses (the number assigned to computers on the Internet). In addition, your web browser or Game software may transmit to Maiden Gaming certain geographic information or other information regarding your computer, including its capabilities, hardware specs and game data processing. No personal information about you is revealed in this process. The Site may also gather anonymous “traffic data” that does not personally identify you, but that may be helpful for marketing purposes or for improving the services we offer. (2) COOKIES. From time to time, we may use the standard “cookies” feature of major browser applications that allows us to store a small piece of data on your computer about your visit to the Site. While we do not set any personally identifiable information in cookies, cookies help us learn which areas of the Site are useful and which areas need improvement. You can choose whether to accept cookies by changing the settings on your browser. However, if you choose to disable this function, your experience at the Site may be diminished and some features may not work as they were intended. C. What Does Maiden Gaming Do With Information? (4) COMPELLED DISCLOSURES OF PERSONAL INFORMATION. We may disclose personal information if required to do so by law or in the good-faith belief that such action is necessary to (a) comply with requirements of the law or comply with legal process served on Maiden Gaming or its parent company, subsidiaries or affiliates, (b) protect and defend the rights or property of Maiden Gaming or the users of the Site or Game, or (c) act under unusual, extraordinary or emergency circumstances to protect the safety of the public or users of the Site or Game. (5) SALE OF INFORMATION. In order to accommodate changes in our business, we may sell or buy portions of our company or other companies or assets, including the information collected through the Site or otherwise collected in connection with the Game. If Maiden Gaming or substantially all of its assets are acquired, customer information and personal information will be one of the assets transferred to the acquirer. Should such an event occur, we will use reasonable means to notify you, either through email and/or a prominent notice on the Site. (6) ACCESS TO INFORMATION. You are able to review and request changes to your Account information within the Site at www.maidengaming.net. Unfortunately, we do not maintain similar procedures within the Game software, and you must visit the Site to take such actions. PLEASE NOTE: We are a general audience site, and do not direct any of our content specifically at children under 13 years of age. The Site and the Game are not intended for children under the age of 13. We understand and are committed to respecting the sensitive nature of children’s privacy online, and as such do not knowingly collect any personal information from any user under age 13. If we learn or have reason to suspect that a Site or Game user is under age 13, we will promptly delete any personal information in that user’s Account. The Site and the Game have security measures in place to help protect against the loss, misuse, and alteration of the information that we obtain from you. We store your personal information on our servers, which are located in secured facilities with restricted access, and protected by protocols and procedures designed to protect the security of such information. In addition, we restrict access to personal information to Maiden Gaming employees, independent contractors and agents who need to know this information in order to develop, operate and maintain the Site and the Game. All Maiden Gaming personnel who have access to this information are trained in the maintenance and security of such information. However, no server, computer or communications network or system, or data transmission over the Internet can be guaranteed to be 100% secure. As a result, while we strive to protect user information, we cannot ensure or warrant the security of any information you transmit to us through the use of the Game or the Site and we make no assurances about our ability to prevent any such loss or misuse to you or to any third party. You acknowledge and agree that you provide such information and engage in such transmissions at your own risk. The Site includes a section for interactive “forums” in the form of message boards (the “Forums”) to which users with an Account and an in-Game Guardian name may post. Additionally, within the Game, you can participate in real-time interactive chat (“Chat”) with other players. Please remember that any information that is disclosed in the Forums or Chat becomes public information in which you relinquish any expectation of privacy. Remember that Maiden Gaming asks that you not disclose any personal information when posting in the Forums or in Chat, and you should exercise caution when deciding what information to share. We reserve the right, but shall have no obligation, to monitor your use of the Forums or Chat. Maiden Gaming has empowered its community of users (the “Community”) to police the compliance of other users with Maiden Gaming’s policies as they apply to in-Game behavior. Community members, including you as a user, are allowed to report players and submit descriptions of activity and actions of certain users within the Game, and collectively determine if that particular user was in compliance with all of the Maiden Gaming policies relating to user conduct. Consistent with our terms, all Chat will be recorded by Maiden Gaming and stored for a period determined by Maiden Gaming in its sole discretion, which period Maiden Gaming may change from time to time. Should your in-Game actions be reported by another user, and should your case come before The Tribe, the entire Chat log from that particular reported Game session will automatically be included in The Tribe report and available for viewing by randomly selected members of the Community that participate in The Tribe. As stated above, please take care to not provide any personally identifiable information in the Chat, understanding that the Chat is public information in which you do not have an expectation of privacy. Notwithstanding the above, Maiden Gaming will not use any personally identifiable information that might appear within the Chat for any purposes whatsoever, beyond the automatic posting of the Chat log to the Tribe report. If you are a resident of any country, you agree that should any dispute or claim arise out of, or relate to, this Policy (“Claim”), you will attempt in good faith to negotiate a written resolution of the Claim directly with us. You agree that if the matter remains unresolved for thirty (30) days after one party has provided written notice of the Claim to the other party, all parties shall join in mediation services in Charlotte, North Carolina with a mutually agreed mediator in an attempt to resolve the dispute. Should you file any arbitration claims, or any administrative or legal actions without first having attempted to resolve the matter by mediation, then you agree that you will not be entitled to recover attorneys’ fees, even if you would otherwise be entitled to them. Maiden Gaming will send its notice to the address we have on file to the extent that you have provided additional contact information to us (e.g. by participating in a promotional or survey, or contacting a customer services representative). Otherwise, we will send our notice to the email address associated with your Account. You will send your notice to Maiden Gaming, Inc., PO Box 7546 Charlotte, North Carolina 28241, Attn: Legal Department. Please note that this informal resolution procedure does not suspend any statutory limitation periods applicable to the bringing of a Claim. If you have any questions about this Policy, our practices regarding your personal information related to the Site or Game please feel contact us. If your personally identifiable information changes, or if you no longer desire our service, you may correct, update or amend it by making the change on our member information page located at www.maidengaming.net. If you wish to subscribe to our newsletter(s), we will use your Guardian name and email address to send the newsletter to you. You may choose to stop receiving our newsletter or marketing emails by following the unsubscribe instructions included in these emails. 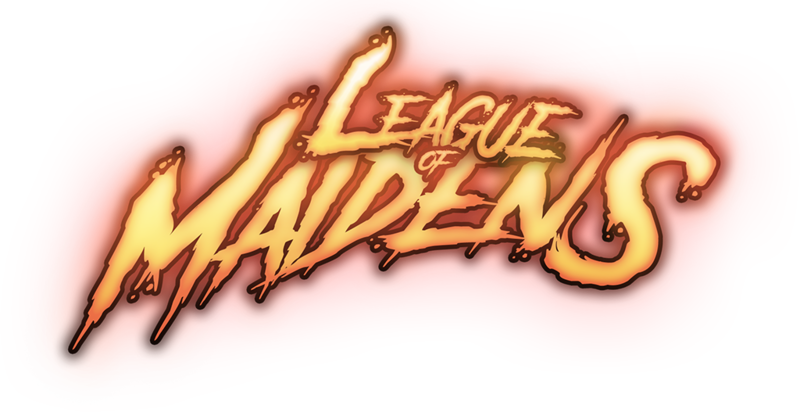 Maiden Gaming: PO Box 7546 Charlotte, North Carolina 28241, or by email.